“Why Can’t We Live Together” Summer Film Series at Phoenix Art Museum features films chosen in an effort to make sense of our common humanity. The diverse range of films explore our present moment of conflict, addressing narratives of difference and resentment as well as hope and beauty. Sponsored by Contemporary Forum and Lisa Sette Gallery. 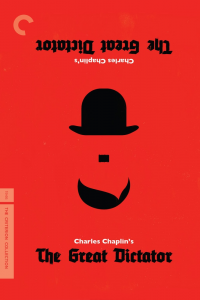 In his controversial masterpiece The Great Dictator, Charlie Chaplin offers both a cutting caricature of Adolf Hitler and a sly tweaking of his own comic persona. Chaplin, in his first pure talkie, brings his sublime physicality to two roles: the cruel yet clownish “Tomainian” dictator and the kindly Jewish barber who is mistaken for him. Featuring Jack Oakie and Paulette Goddard in stellar supporting roles, The Great Dictator, boldly going after the fascist leader before the U.S.’s official entry into World War II, is an audacious amalgam of politics and slapstick that culminates in Chaplin’s famously impassioned speech. This film screening is free and open to the public and part of #FreeAfterThree Wednesdays (each Wednesday, general admission is free from 3-9pm). Advance RSVP recommended. Voluntary donations appreciated. 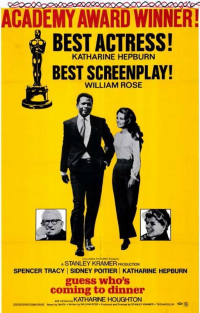 Spencer Tracy and Katharine Hepburn are unforgettable as perplexed parents in this landmark 1967 movie about mixed marriage. Joanna, the beautiful daughter of crusading publisher Matthew Drayton and his patrician wife Christina, returns home with her new fiance, John Prentice, a distinguished black doctor. Christina accepts her daughter’s decision to marry John, but Matthew is shocked by this interracial union; the doctor’s parents are equally dismayed. Both families must sit down face to face and examine each other’s level of intolerance. In Guess Who’s Coming to Dinner, director Stanley Kramer has created a masterful study of society’s prejudices. Ever since seventeen-year-old Rachel Levy, an Israeli, was killed years ago in Jerusalem by a Palestinian suicide bomber, her mother Abigail has never found peace. 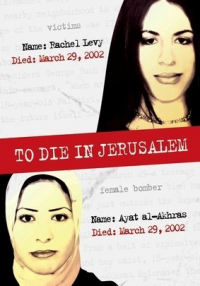 Levy’s killer was Ayat al-Akhras, also seventeen, a schoolgirl from a Palestinian refugee camp several miles away. The two young women looked unbelievably alike. To Die in Jerusalem unabashedly explores the Palestinian-Israeli conflict through the personal loss of two families, culminating in an emotionally charged meeting between the mothers of the girls — reflecting the conflict as seen through their eyes. But some emotional chasms are too large to cross. 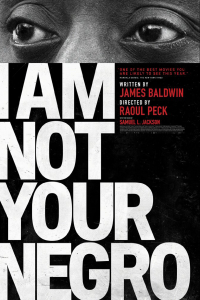 In 1979, James Baldwin wrote a letter to his literary agent describing his next project, “Remember This House.” The book was to be a revolutionary, personal account of the lives and successive assassinations of three of his close friends: Medgar Evers, Malcolm X and Martin Luther King, Jr. At the time of Baldwin’s death in 1987, he left behind only 30 completed pages of this manuscript.